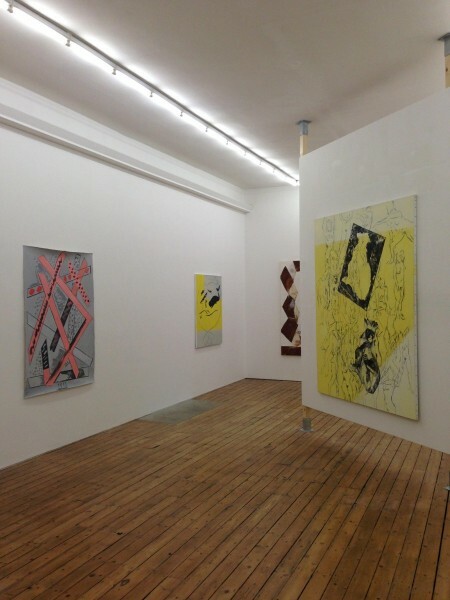 July (installation view), 2014. Photo courtesy The Approach, London. 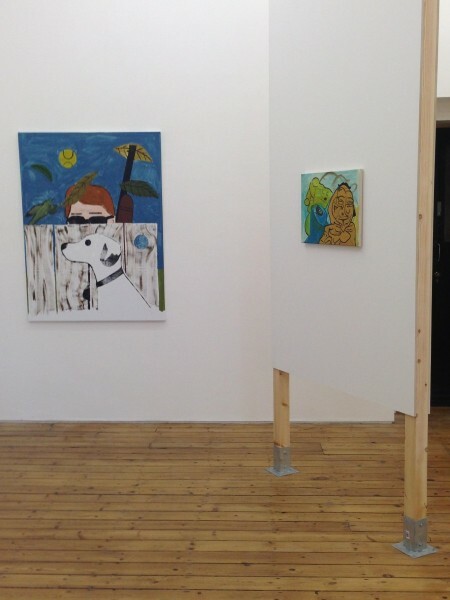 What happens in the “summer slot” in a gallery’s programme is a bit of a test of character. 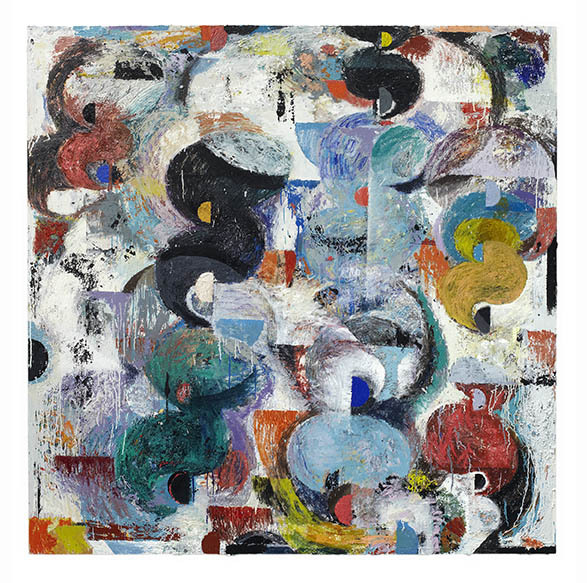 You sometimes feel that, after the relentless schedule of art fairs from January’s Armoury in New York through to Art Basel in June, July and August are a moment when gallery directors might back-pedal a bit. Take a breather while the clientele are on holiday and London starts to take on a slightly ‘drinking-at-lunchtime’ feel. Alternatively, it can provide an opportunity for a more daring bit of thinking. 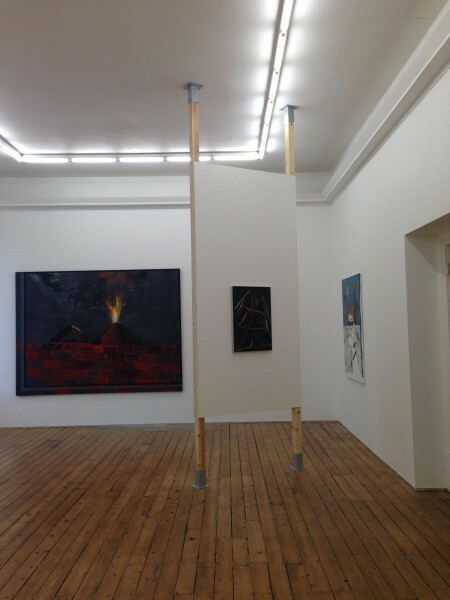 July opens at The Approach gallery tonight, and includes eleven works by eleven different artists and it falls very definitely in this latter category of shows. The press release for the show, aside from listing the artists included, has the very briefest of statements to underpin the selection. It highlights the inclusion of an American artist, Forrest Bess(1911-1977) a self-taught or outsider artist relatively unknown in Europe, but recently subject of renewed interest in the States. 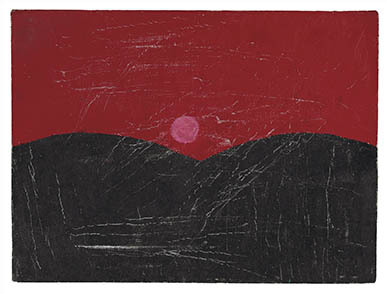 Represented by one small canvas, an abstracted landscape of two red hills, with a modest little sun riding the skies above them, Bess signals the underlying logic of the show: the enduring human need to create images, to make pictures. The selection of paintings in this show is thoughtful as well as visually acute: links are teased out through formal devices, a deft facility of draftsmanship and full-on, high summer colour palette. There are interpretations of nudes variously academic and odalisque in the work of Allison Katz and Lucy Stein. 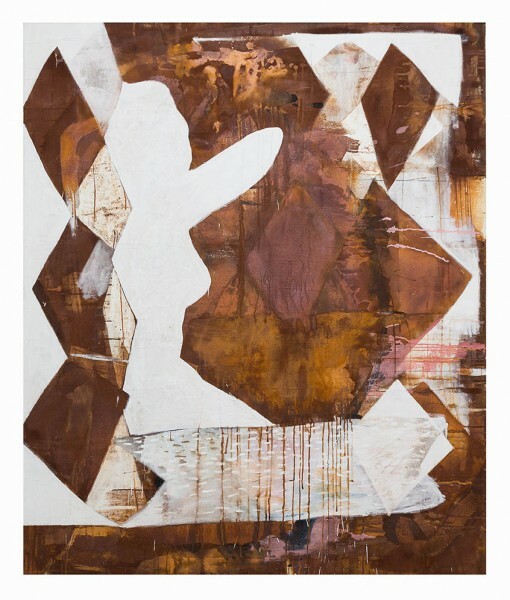 Alastair MacKinven‘s large scale piece also includes a female figure, and using iron pigment has a fantastically tough, rusty surface that conjures up Richard Serra. 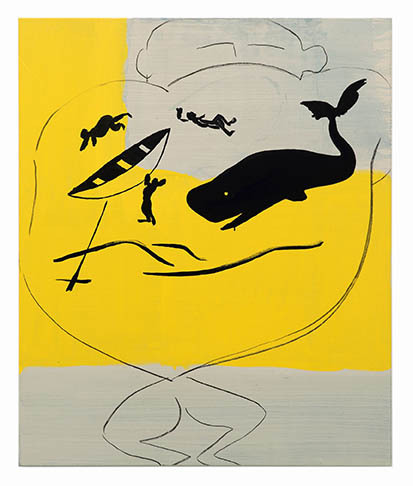 Walter Swennen‘s painting of a sailor’s back, called Tattoo, depicts an ambiguously allegorical scene with a whale, and this slippery, metaphorical quality is another element that connects the paintings in July. Stuart Cumberland‘s stencilled work has a dog in profile sitting one side of a fence while on the other side a figure holding a rifle looks impassively at the viewer through impenetrable shades. What on earth is going on? And holding the end wall is a tremendous painting by Caragh Thuring. 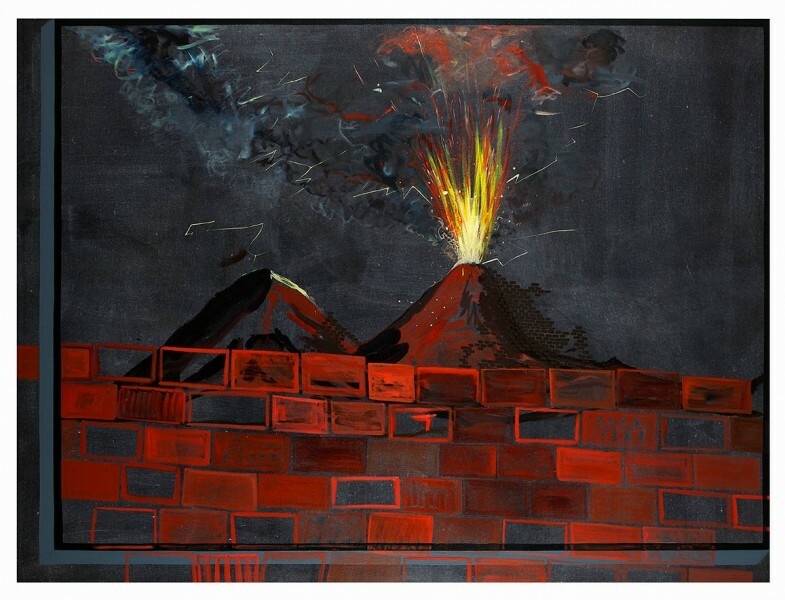 A double volcano erupting spectacularly in a night sky full of lightning flashes, hemmed in by multiple framing devices, including the characteristic London brick that signals the observational, the diaristic in her work. With its confident combination of familiar and unfamiliar artists, working across generations and continents, July is full of pleasures, just as it should be.